There is a reason that candles are such popular gifts. Everyone likes them! With so many scents to choose from, there’s a candle (or 50) out there for everyone to light up their lives, their homes and their senses. Plus, with this current deal, we can get one as a gift and keep one for ourselves. Giving has never been so rewarding. For a limited time, Yankee Candle is offering a 2 for $30 or 3 for $39 deal on all large Classic Jar and Tumbler Candles when using coupon code “LARGE2R3” at checkout! Some of these candles have up to 150 hours of burn time each! That’s a lot of hours of kicking back, relaxing and taking our favorite scents in, whether they’re beachy, floral, fruity or all that’s in between and beyond. And if giving a candle as a gift, consider the extra savings a gift for yourself, too! See it: Get 2 for $30 or 3 for $39 on all Large Classic Jar & Tumbler Candles using coupon code “LARGE2R3” at checkout! – Through Sunday 4/21 Only!! These candles are made with premium-grade paraffin wax and each wick is chosen specifically for each scent, ensuring long, clean, fragrant burns. The wicks are also made of 100% natural fibers and are hand straightened, sparing no expense to detail. The essential oils inside are natural too, creating “true-to-life” scents, rather than cheap imitations that would fool no nose. Light up the two wicks of the fan-favorite Macintosh tumbler candle, for example, and be transported to a farm just at the height of apple-picking season. All we need is to pick up some apple cider doughnuts and we’re set. Alternatively, we can light up Midsummer’s Night, a musky scent with earthy notes that would leave anyone wanting just one last sniff. Other extremely popular scents include the “intoxicating” Fresh Cut Roses, the returning favorite Eucalyptus and the tangy, yet calming Lemon Lavender, though the options go on and on. Don’t be shy, because with this deal, we can try out two (or more) scents and find our absolute favorites. As if picking a scent wasn’t good enough, we can also personalize our candles! Click into the “Personalized Candles” section of Yankee Candles’ website and get creative. Be sure to choose a large classic jar candle or large tumbler candle so it can be included in the deal. Then, we can choose the fragrance we want, ranging from Coconut Beach to Christmas Cookie. Regardless of if it’s winter or summer, we can always spread the scent of the season we’re missing throughout our home. For the next step in the personalization process, we can choose a design. We can either upload our own image — a graphic or photo, for example — or choose from pre-made images. Don’t have an image prepared? The image gallery includes almost every occasion, so we’re sure to find one that we need. If we’d rather stick with an Expression Label, we can choose a pre-made label as a background to our message, which we’ll get to in the next step. We can optionally add one to four lines of a personal message for the last step of this customization. Multiple fonts are available, so we can choose a script for a fancier look or a print for something more cute and casual. We can then check that the candle looks just the way we want it to and then add to bag! 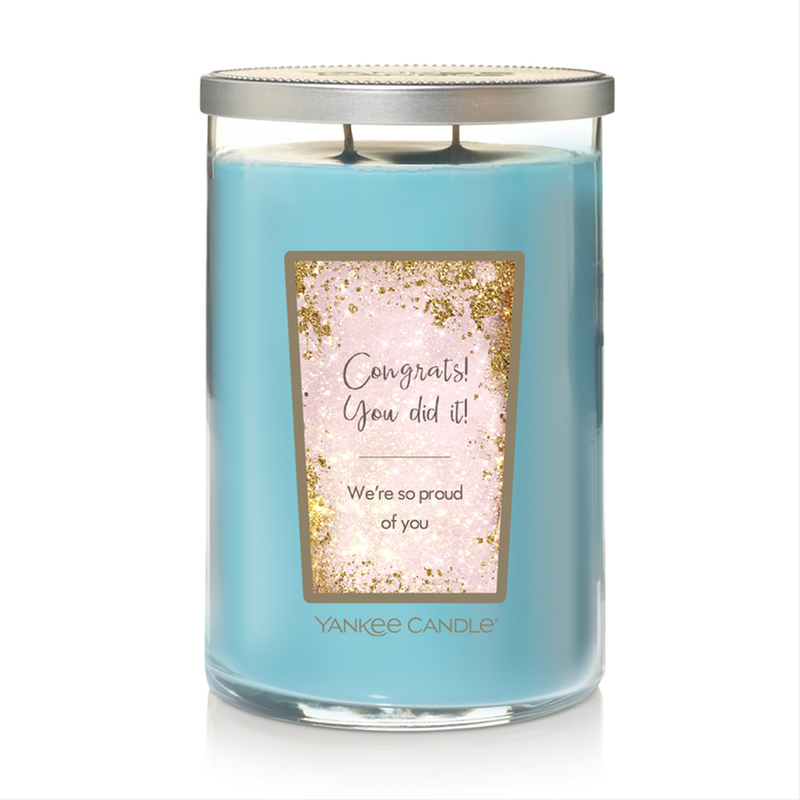 We would get someone a personalized candle for so many occasions: Mother’s Day, birthdays, graduation or “just because.” There’s one specific scent called Wedding Day, so we obviously already have an idea for that one, whether it be for a loving couple or as a thank you gift to bridesmaids or guests. Since we can write whatever we want, the options are endless! We’re thinking of buying one just for ourselves. “To Us, Love Us.” How does that sound? We certainly hope we like it. Which scents should we start with? We’re thinking Pink Sands and Bahama Breeze. Is it obvious that we’re due for a beach vacation? Excuse Us while we light these up and grab a towel for a living room sunbathing session. The “sun rays” may or may not be the glow of our TV, but we’re okay with that. Looking for something else? 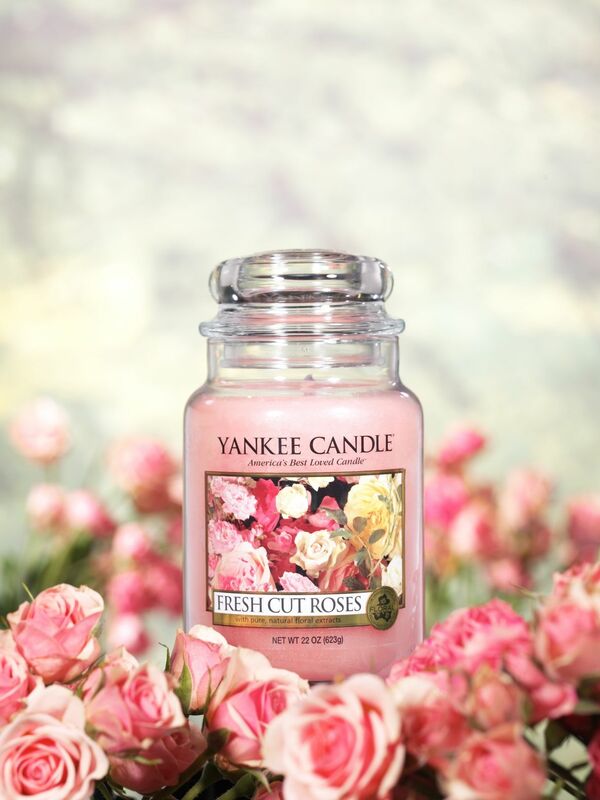 Check out all types of candles and melts from Yankee Candle here! Editor’s Note: This article was updated April 18th, 2019 to reflect the current deal.